Black Diamond Casino has now merged with SlotoCash Casino. You can read our review of the SlotoCash no deposit bonus code here. 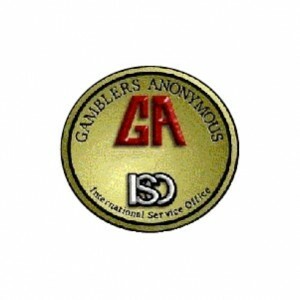 Our links to Black Diamond will direct you to the SlotoCash Casino. Black Diamond is an online casino that employs the TopGame platform and accepts U.S. players. 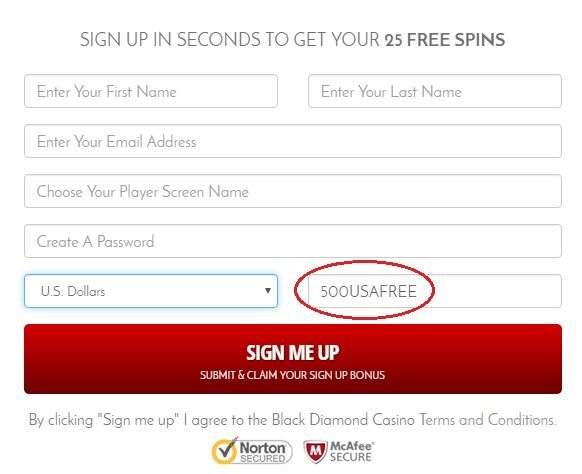 Click here to visit the Black Diamond Casino and receive 25 free spins! The Black Diamond Casino offers a huge welcome bonus to all new players, but it is not well documented on the website, so we will explain all the gory details here in this review. The welcome bonus first off provides 25 free spins to all new registrants. You do not need to make a deposit to receive these free spins, you just need to create a new account. However, to potentially withdraw any winnings, you will eventually need to make a real money deposit. In addition to the 25 free spins, all new customers receive a 500% deposit bonus for up to $5,000 on each of your first five (5) deposits! That’s a total of $25,000 in welcome bonus money that’s available to new customers. There are two different wagering requirements that apply towards the 25 free spins and the welcome deposit bonus. The 25 free spins are labeled a “Sign Up Bonus” and are subject to a 75x rollover requirement before a withdrawal may be made. Withdrawals are also maxed out at $100 for the sign up bonus. Separately, the welcome deposit bonus is subject to a 35x wagering requirement on both the deposit and bonus amounts. So if you maximized the welcome bonus and deposited $1,000, you would receive a $5,000 bonus for a total of $6,000 to play with. There is a 35x wagering requirement on the $6,000 so you would need to wager a total of $210,000 before satisfying the wagering requirements and making a withdrawal. You can take advantage of this 500% welcome deposit bonus five times. When you fund your Black Diamond Casino account with the cryptocurrency Bitcoin, you can get a 400% up to $4,000 deposit bonus with wagering requirements of 35x on the total of the deposit + bonus sum. There are no codes to enter; this bonus will be applied automatically to any qualifying Bitcoin transaction. You can use it up to three times for a potential maximum of $12,000 in free cash even if you’ve already claimed the 500USAFREE offer. In addition to the 25 free spins and the welcome bonus, you also have reload bonuses throughout the week! You’re invited to join the VIP Club as a new member at the Bronze tier, and you’ll receive a 500-percent signup bonus on your first five deposits. As you play more at Black Diamond Casino, you’ll increase in rank: Silver, Gold, Platinum, Ultimate and Ultimate Plus. VIP perks include bigger casino bonuses, special promotions and enrollment in VIP-only tournaments. One of the biggest promotions at Black Diamond is the $15,000 skirmish. There’s a $75 buy-in, and you’ll earn tournament points by playing any game at the casino with real money. Place Top 15 on the leaderboard to win a prize, and top prize will be no less than $3,178 but can be higher. This competition takes place every day. Another exciting option is the Showdown, which has a progressive pot with a $200,000 minimum. It runs Tuesdays, Thursdays and Saturdays. Enrollment is automatic with a $500 deposit. Twenty players will win, and the top prize is guaranteed to be at least $42,373. 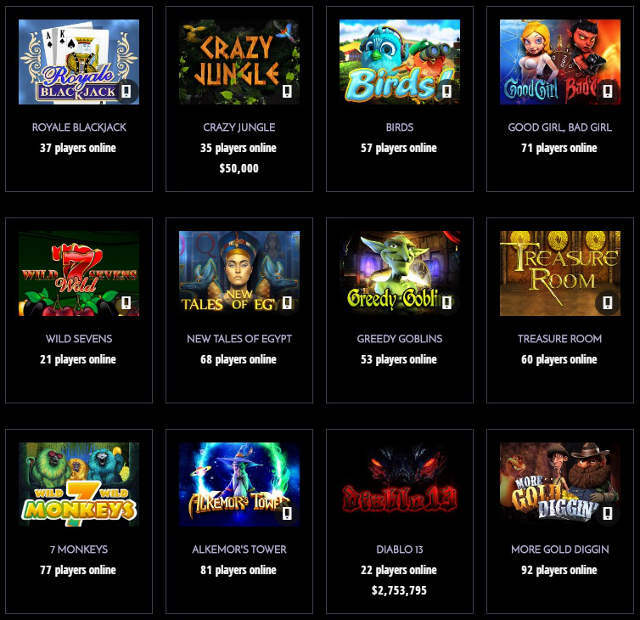 Black Diamond has a dedicated client that you download and install but also offers instant play games that you access directly in your browser. The overall payout percentage is 98.4 percent. The website and the software has a very clean and modern look. If you choose to use the client, you can access the instant play games from it as well. The user interface is highly intuitive, and there are numerous settings that you can use to personalize the experience. The Black Diamond Casino lobby is very cool because it shows you how many players are currently playing which games, and it also shows which games are mobile friendly via a mobile icon on the corner of the game. Visit the Black Diamond Casino. In the Live Dealer section of Black Diamond Casino, you’ll be able to play Blackjack, Roulette and Baccarat games operated by a human dealer. You, and the other players, will see the action over streamed video for a more authentic experience. Withdrawals at Black Diamond Casino are limited to paper checks, bank wire transfers and ACH bank transfers, which are often called e-checks. You can also use Money Transfers, which can eliminate fees — more on that in a moment. Withdrawals made via paper check require a $20 processing fee, have a minimum amount of $300 and process within 12 business days. A bank wire has a $28.75 processing fee, requires a minimum amount of $500 and processes within 72 hours. E-checks require a $100 minimum and process within 72 hours as well. The fee for an ACH bank transfer is $10 for withdrawal amounts less than $1,000 (min. $100) and $20 for amounts equal to or greater than $1,000. The minimum amount for a standard deposit at Black Diamond Casino is $25. There are no deposit fees charged by the casino, but there can be fees from your bank. The casino cashier accepts all credit cards, debit cards and prepaid cards from Visa, MasterCard and American Express. You also have the option of bank wire transfers, ACH bank transfers and Easy Debit, which is a web wallet that you can use to draw funds from a pool or obscure your credit card. Black Diamond also supports a proprietary system called Money Transfers. When you set up your Money Transfers account, you’re choosing a credit card or a bank account that you can directly deposit funds from and withdraw funds to. There are a few advantages to setting up Money Transfers: withdrawals process the same business day, you can eliminate or reduce the fees outlined above and you receive a 20-percent bonus all monies deposited in this manner. The caveat is that the minimum deposit amount is increased from $25 to $100. Black Diamond Casino provides around-the-clock support that you can access via email or live chat. Live chat is available directly through your account page. If you require assistance during the account creation phase, simply click on the Live Help tab on the right-hand side of the screen. Receive up to $25,000 in casino bonuses!